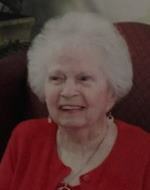 Erma L. Martin, age 92 formerly of Massillon, passed away Monday, November 12, 2018 at Brewster Park Nursing Home. Erma was a member of Massillon Baptist Temple and enjoyed bowling. She is survived by her daughter, Carol Payton; sons Carl France and Gerald France, sister Inez Fletcher and numerous grandchildren and great-grandchildren. Graveside services will be held on Friday, November 16, 2018, at 3 P.M. at Rose Hill Memorial Gardens with Pastor Cecil Thayer officiating. Burial to follow the service at Rose Hill Memorial Gardens.